The Apiculture Program at NC State has three core missions: Extension—providing information, advice, and other outreach services to help beekeepers at all levels; Research—using the scientific method to test hypotheses about honey bee biology and ways to help improve bee management; and Instruction—teaching and disseminating knowledge about honey bees and apiculture through formal classes and academic training. These regular newsletters review ongoing initiatives in each of these areas. Extension articles written by members of the NC State Apiculture Program about honey bee biology, bee management, and the apiculture industry. Currently downloadable as PDF files, we are working on developing an interactive publication platform so that extension notes can be updated in real-time. Stay tuned for further developments. This is an exciting new online system for training beekeepers at all levels. 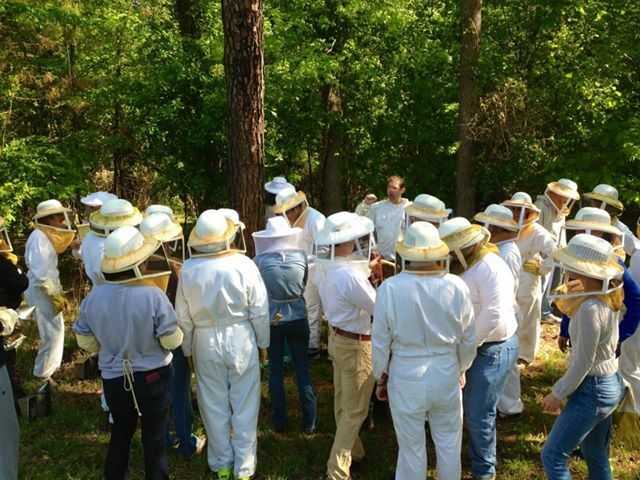 There are three ascending levels (Beginner, Advanced, and Ambassador) with topics spanning three different areas (honey bee biology, management, and industry). The entire system is based on the Moodle instruction platform, so all video lectures, content, and quizzes can be taken directly online! We offer an assortment of molecular tests to measure queen and colony health. For queens (and drones), we can measure reproductive quality, sperm count and sperm viability, diseases such as Nosema and virus prevalence, and Africanization. For colonies, we can measure virus profiles of the entire colony and colony-level genetic diversity. With beekeepers increasingly concerned about queen and colony productivity, this exciting resource will be invaluable for queen producers and beekeepers alike. Our pricing is highly competitive, and our high-throughp ut processing facilitates a quick turn-around time. This affords you to make rapid management decisions based on empirical results, taking some avoidable guesswork out of beekeeping. 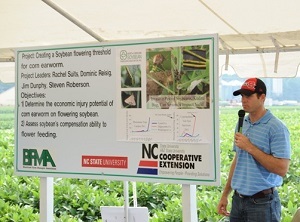 Information about various extension projects offered by the NC State Apiculture Program, advice for homeowners and beekeepers, and other resources. These webinars are run through the online software system Collaborate, brought to you free of charge through the N.C. Cooperative Extension Service and DELTA. 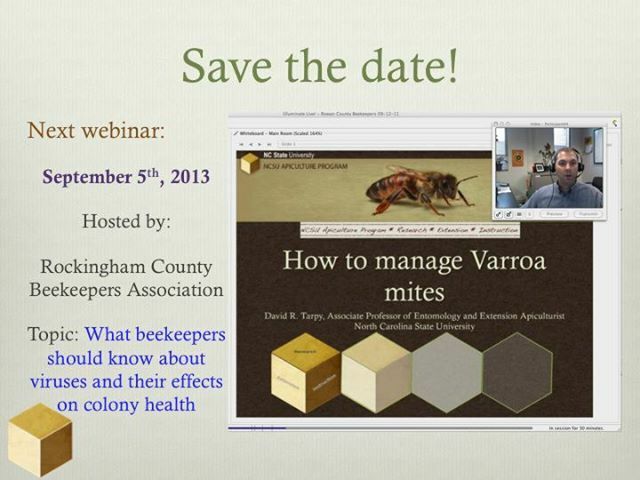 Anyone is able to participate either as an individual or as a group.These webinars have been useful in lieu of in-state visits to local beekeeper groups, such that multiple county chapters can participate live and at the same time! Check out our schedule if you or your club would like to participate (or host!) at an upcoming webinar. These webinars are currently on hold but hope to be resumed in the future. Want to be added to our email list? Just click here to email us! • Swarm Season Is Here!